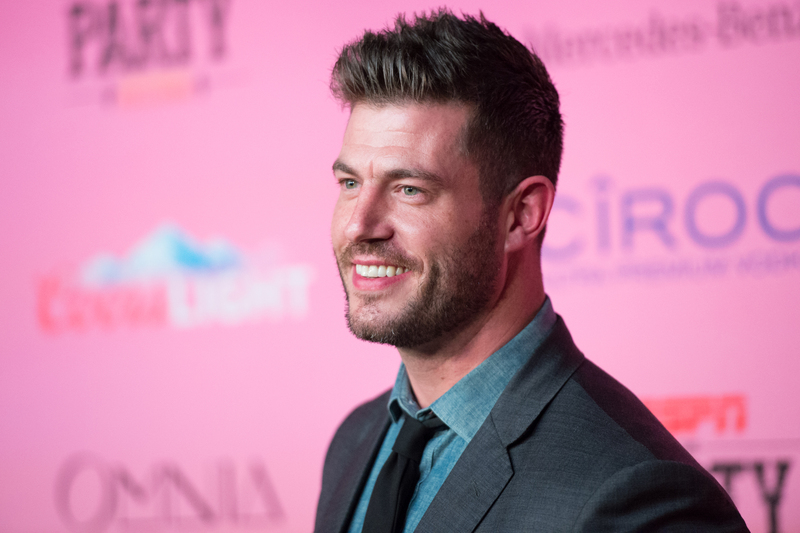 Jesse Palmer, a sports commentator and former college and professional football player, is used to be being a busy guy. Aside from athletics and breaking down Xs and Os on a broadcast, he was cast in 2004 as the bachelor in the popular reality show 'The Bachelor', enjoys a lot of charity work and, most recently, became involved with a new initiative that he is enjoying. Palmer is now the national spokesperson for the Allstate AFCA Good Works Team, a team that recognizes college football players for their community service, leadership and volunteerism off the field. Sports information directors from schools across the nation submitted applications on behalf of each nominated player. Each one of the nominees has demonstrated extraordinary performance in the areas of service, academics and athletics. Palmer, who is on the voting panel, took some time to hang out with AOL Sports and discuss the record-breaking 197 college football players recently nominated for the most prestigious off-the-field honor in college football. Q: What has it been like for you, joining this new team and getting involved with rewarding student-athletes for their work off the field? A: It's been unbelievable. I'm really happy to work alongside them and to work with the athletes. It's awesome. It's one of the most prestigious awards a college athlete can be considered for, and the team has been doing an unbelievable job shining a light on good things that happen off the field. Q: This year, you began a job as a correspondent for Good Morning America. How different is that job, compared to one in which you're calling a football game or in a studio breaking down plays? A: It's been incredible to get an opportunity to work with such an unbelievable team and have a tall task at hand. What's great on GMA is it includes all of my passions, not just football. There's pop culture, food, travel, entertainment. I just enjoy storytelling and and storytelling on everyday people. Q: Do you like one gig more than the other? A: Not necessarily. They're two completely different things and I've been doing football for so long. Behind the scenes, I can talk Xs and Os, share my passion for football and be in the studio, which I enjoy. But on the other hand, GMA has brought a lot of balance to my life all of a sudden. It's been nice. Q: Everybody came into the season talking about Ohio State. What are your thoughts on them? A: Man, repeating in college football is so difficult. They're just so good, though, every guy, on both sides of the ball. The biggest storyline there has been the quarterback competition. It's been the most polarizing position battle in a long time in college, and it doesn't happen often (to this scale). With the right (QB) leader, they can do it. They can repeat. And if they do, it's going to be amazing to see. Q: We were curious about your thoughts on the College Football Playoff. Do you like the format? Would you change anything? A: I wouldn't make any changes. There's no perfect system, but it's great there's an undisputed national champion. Four teams is good, four teams keep the regular season extremely meaningful. I think it created a lot of buzz and became very meaningful. Plus, in the end, it had good ratings. There's not a whole lot I'd change there. It was so exciting.